with a unique "double-umbrella" envelope structure. To browse our site, please click the menu choices along the left side of the page. You'll find a great deal of information about why this aircraft is unique (e.g. 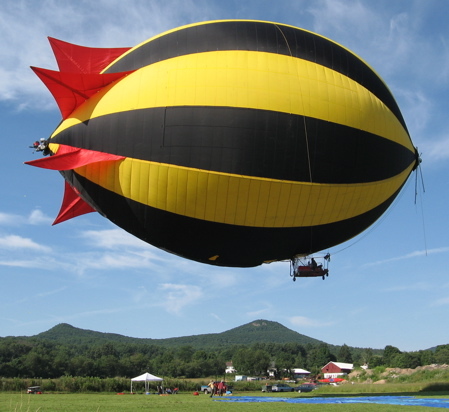 It's the most maneuverable blimp ever built. ), how it was developed, and where we are taking it from here. The Boston Globe website also has an associated news story on our work.